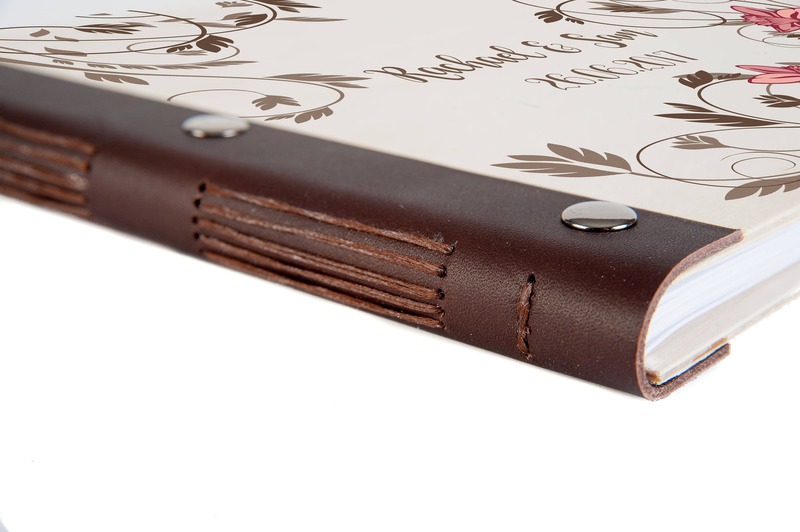 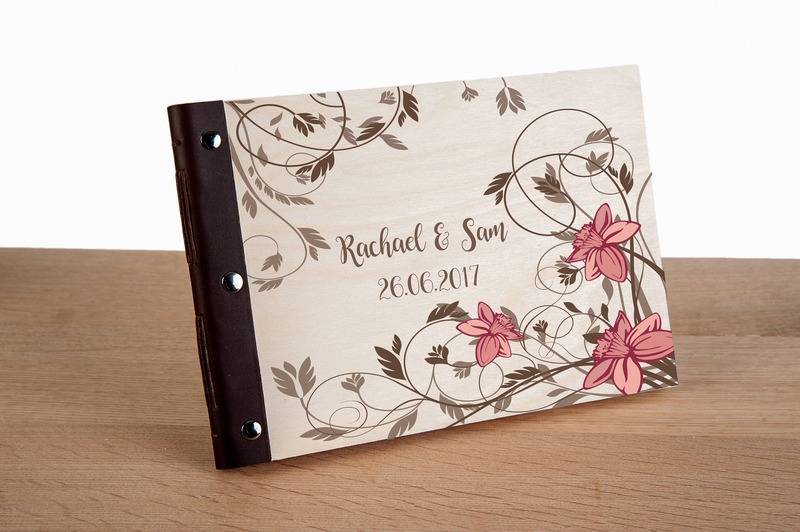 Whether you want a guest book to match your wedding colours or theme, an album in which to keep the photos of the special day or want to give this as a quirky keepsake, this stunning A4 handmade leather-bound book is perfect and can be personalised with the couple's names and the date of the wedding. 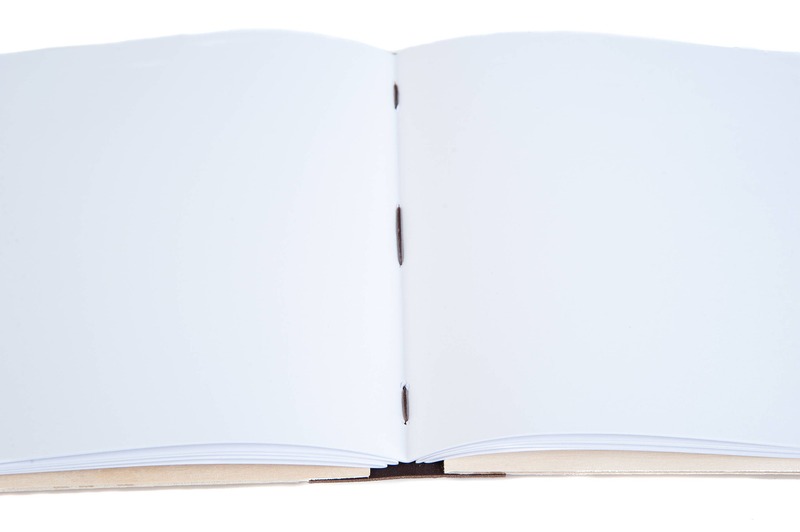 Purchased as a wedding gift for my friend, this book took a while to be delivered, but was well-worth the wait. 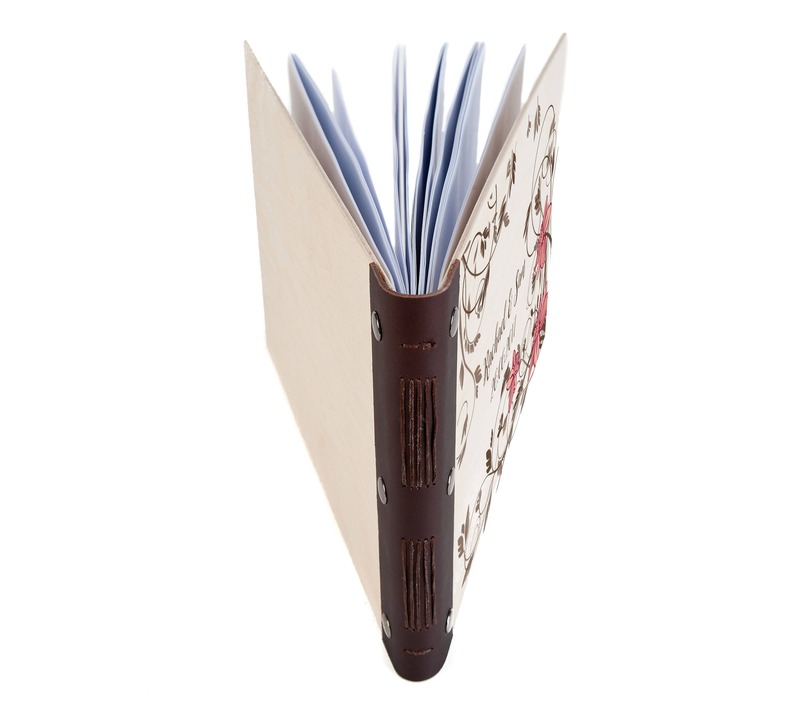 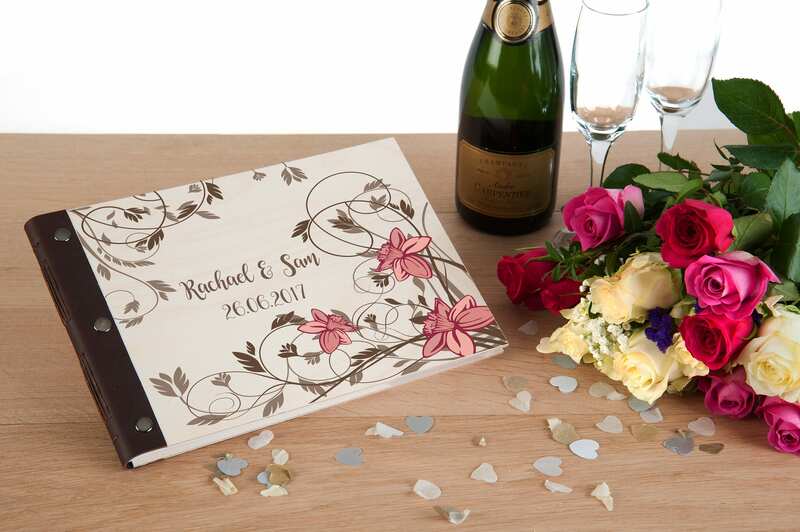 The front is painted with lovely flowers, the paper feels high quality, and the wooden cover adds a lovely rustic feel.